The Chicago Blackhawks will honor one of their greatest legends on Sunday as forward Al Secord will take “One More Shift” with the team. Secord, who scored 213 goals and dished out 159 assists in 466 career games with the Blackhawks, will be honored before the team’s game against the New Jersey Devils at the United Center on Sunday night. The forward will don his familiar #20 jersey and take a skate around the ice at the arena before the contest. 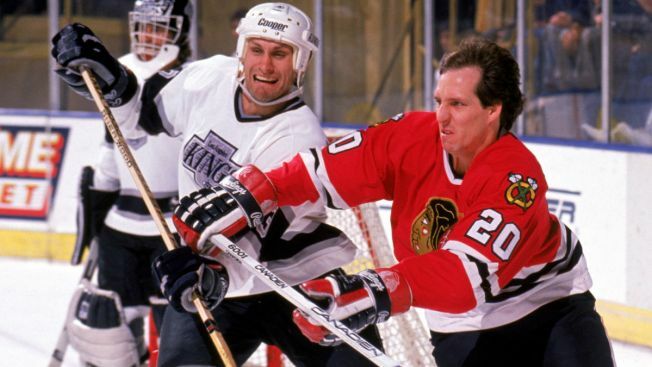 Secord ranks in the top 20 among Blackhawks in goals as a member of the organization, and also racked up 1426 penalty minutes as a member of the team, putting him just behind Chris Chelios and Keith Magnuson on the all-time list in that category. The forward joins a select group of Blackhawks alumni honored in the “One More Shift” showcase, which has honored players like Bryan Bickell and Denis Savard in years past. Puck drop between the Blackhawks and Devils is set for 6 p.m., and the game can be seen on NBC Sports Chicago.